"Aha!" 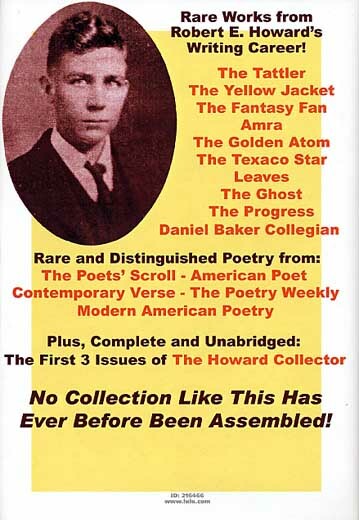 or "The Mystery of the Queen’s Necklace"
"Robert Howard, Short Story Writer"
"What the Nation Owes to the South"
"Jacket to Have Short Story Writer"
also known as "Dula Due to Be Champion"
"Robert E. Howard sustained some very . . ."
"Mysterious letters postmarked . . ."
"M. Brundage is a woman and has . 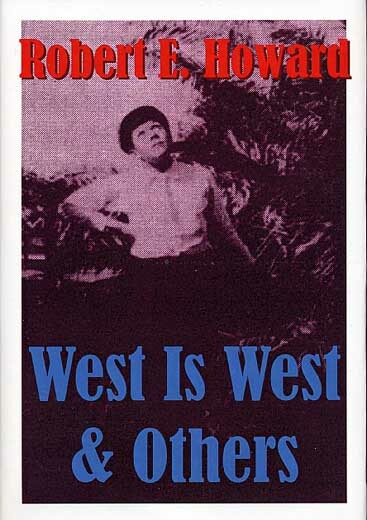 . ."
"Robert E. Howard's occupation is fiction writing . . ."
"The Ghost of Camp Colorado"
"Some People Who Have Had Influence Over Me"
"Sorry to hear Pawang Ali . . ."
"Well, Harold, how did you like my story . . ."
The dates of the letters correspond with the letter dates published in THE COLLECTED LETTERS OF REH rather than the dates noted in WEST IS WEST & OTHERS.